advanced taping methods for both horse and rider. The best kinesiology tape. For horses & riders. 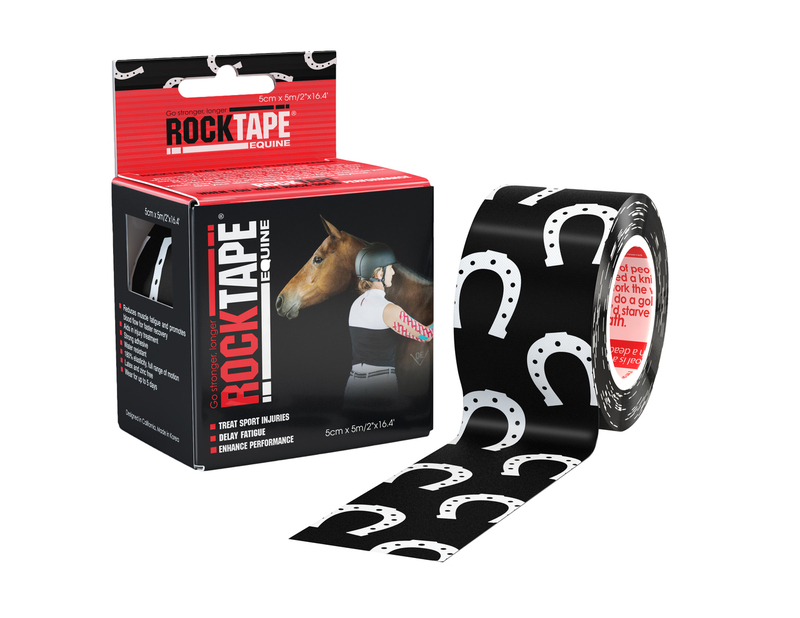 RockTape Equine is a kinesiology tape that has a unique adhesive perfect for all equestrian sports. It can be applied both to the rider and the horse. 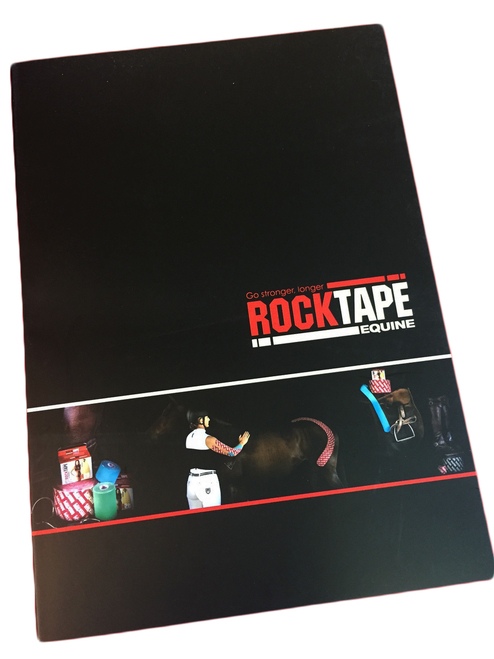 RockTape Equine can be used as either a sole or adjunctive treatment in equine therapy. It can reduce or control pain, manage swelling or edema, increase joint range of motion and muscle function, and maintain a level of functionality and comfort for the horse throughout the rehabilitation process. It can also be used on riders to maintain functionality and comfort in training and assist with recovery. Want to get access to wholesale pricing + exclusive benefits for Equine Professionals? Apply here! Registration is now open for our courses! However, using RockTape has given me back my upper body strength by helping rehab my tennis elbows, corrected my posture on a horse so I ride more effectively, and allows me to help my horses by correcting their gait when I can’t explain it to them in English! RockTape is easy, non-invasive, and proven… It’s all about the things that help me stay in the game! RockTape can be used for both horse and rider in equine therapy. Some benefits include reduction or pain management, decrease swelling and/or edema, increase joint range of motion, normalize muscle tone, and maintain a level of functionality and comfort for the horse throughout the rehabilitation process. It can also be used to assist the athlete to maintain functionality and comfort in training and assist with recovery. The Equine Taping Manual is a perfect way to familiarize yourself with some great taping techniques for both rider and horse.